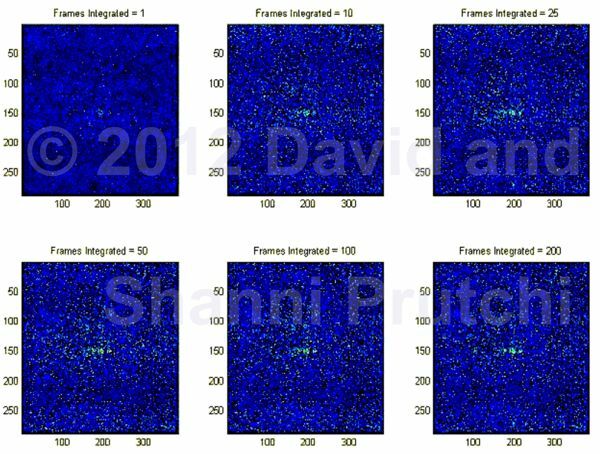 In Chapter 5 of the book we list a short Matlab® program to integrate successive video frames from our diy intensified camera to image double-slit interference patterns obtained by shooting a single photon at a time. The program listed in the book uses Vision for Matlab (VFM). However, this utility is not compatible with all versions of Windows and Matlab. An alternative is VCAPG2 by Kazuyuki Kobayashi available at http://www.ikko.k.hosei.ac.jp/~matlab/matkatuyo/vcapg2.htm (Also available from our SOFTWARE page). % from single-photon interference setup. % image frames through a Windows video capture card.